Check any modern wedding blog and you will see that couples will spend extra just to secure a wedding venue with amazing scenery. Impressive outdoor landscape with beautiful backdrop is one external feature couples love to consider for their wedding venues. Beautiful scenery will create a stunning background in photos. Including as much scenery as possible in photos will create that “wow” effect in your guests. It also makes sense if there are nearby villages where couples can take quick shots. For couples who care less about the outside landscape, the size of a wedding venue is more important. The last thing couples want to see our guests sitting outside because the venue is too small to accommodate everyone. In addition to the guests, couples want a venue that will provide enough space for other activities, including the dance floor, and the entertainers. Money matters when choosing wedding venues. No matter how pleasing and amazing some venues are, couples will never consider them if such venues are out of their budget range. Couples always consider what they can afford, ahead of every other factor. The location of a venue is very important for couples when making their final choice. Couples want a venue that can be easily found. Though the venue must be easily accessible, a venue that is too close to the streets may create uncontrollable frustration for guests. 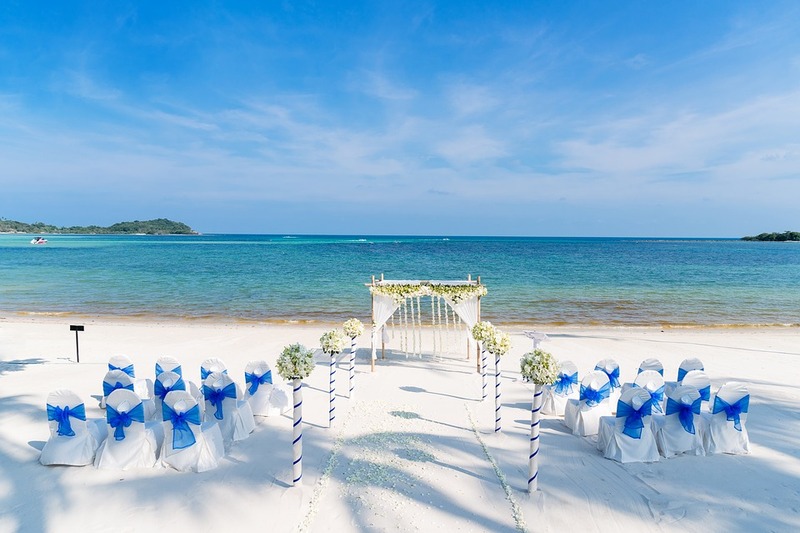 Couples want to choose a wedding venue that is close to the reception, perhaps a growing trend is the ability to have the reception in the same place the wedding ceremonies are conducted. Couples always look out for venues that will cater to those with their private cars and those that are not attending with theirs. Similarly, couples want wedding venues with sufficient parking. If the venue has a small or non-existing parking space then there should be a parking lot within a walking distance to the venue. Perhaps one of the top three most important factor considered by wedding couples before renting wedding venues. Security is an essential service that must be provided at the wedding venue to prevent theft of valuables, most especially cars, smartphones, and expensive jewellery. Couples usually don’t bother to book a venue when they notice there is a lack of security around. Wedding venue owners usually contract security jobs to private security agencies, especially for events. In such cases, the cost of booking the venue may go up significantly. The type of lightning in a wedding venue can make or mare the mood of the guests. Wedding couples often check there are plenty of windows especially if the wedding is happening during the day. Guests don’t want to sit in the dark for several hours when there is an abundance of sunshine outside. If the wedding is going to be an evening affair couples don’t want rooms that will be too dim or there should be controlled lighting especially for the big entrance into the hall. The dinner and dancing areas must also be well-lit to ensure great visibility. Good lighting will compliment a candlelight dinner and may even reveal the type of carpet on the floor. Couples want to see a great transformation of the wedding venue by the lightning entering from outside. Privacy may not be one of the most important factors considered for wedding venues but it will surely be an added advantage. Privacy is very important because random people can walk into the park, garden or even beach venues, hence many couples don’t enjoy such public places. Aside from banquet halls, couples do prefer wedding venues such as private golf course, or private estates. Some banquet halls may not be as private as many people think, especially when there is another event going on in another room. Many couples have learned from this and often confirm if there wouldn’t be another event next door, before making bookings for such banquet halls. Aside from the tables at the wedding venues, couples want logical places within the area where guests can wine and dine. There should be cosy places like balconies where guests can mingle, and dance. when the venue has an irregular or odd design and configuration, the flow of the party may become compromised. There must be very few obstructions, to ensure that guests are not blocked partially from the events. The dance floor, table for the cakes and the area where people can make speeches, must be free from any obstruction. The bar area must also give sufficient spaces for guests to pick up their drinks except there are bartenders to go around and serve them. In conclusion, there are several other considerations couples make before they settle for wedding venues. A proper palette that goes with the theme of the wedding may be considered by many couples. A great sound system is also a must for most couples checking out event centres. Good acoustics is a must, couples don’t want wedding event centres that are echoic- guests should be able to hear one another inside the wedding event centre. Couples will always be willing to spend extra for perfection as long as they get extra value for such extra spending. For instance, a wedding venue with a great view of outdoor can create amazing wedding photos that will last long in couples’ memories. The indoor must just be as comfortable and wedding-friendly as the outdoor of the venue.